Top 4 Methods on How to Uninstall Apps on iPhone 7/7 Plus? While apps are fun, there comes a time when you simply need to uninstall them. Whether you want to uninstall apps to free up some space, for troubleshooting, or some other reasons, you will be glad to know that there are a number of ways to uninstall apps on iPhone 7/7 Plus. How to Uninstall Apps on iPhone 7/7Plus? Here Are 4 Methods! Method 2: Hold and Tap "X"
Using iMyFone Umate Pro to uninstall iPhone apps is one of the easiest ways. 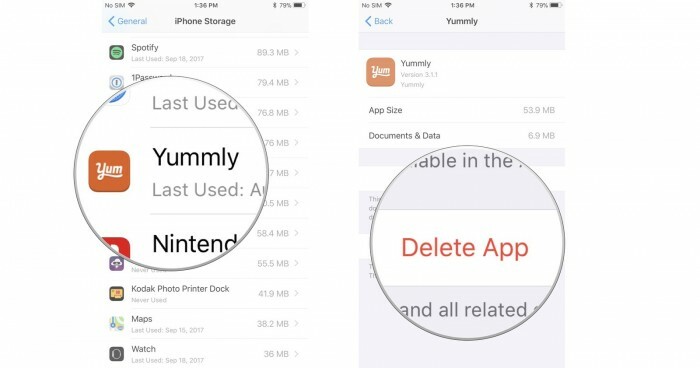 Umate Pro is a third-party iDevice data erasing software that has powerful features to help iDevices users erase all kinds of data permanently. It has a dedicated feature for cleaning up iPhone and boosting its performance. This feature can be used to uninstall multiple apps from iPhone 7 quickly and conveniently. Uninstall/delete apps on your iPhone 7/7 Plus in bulk. 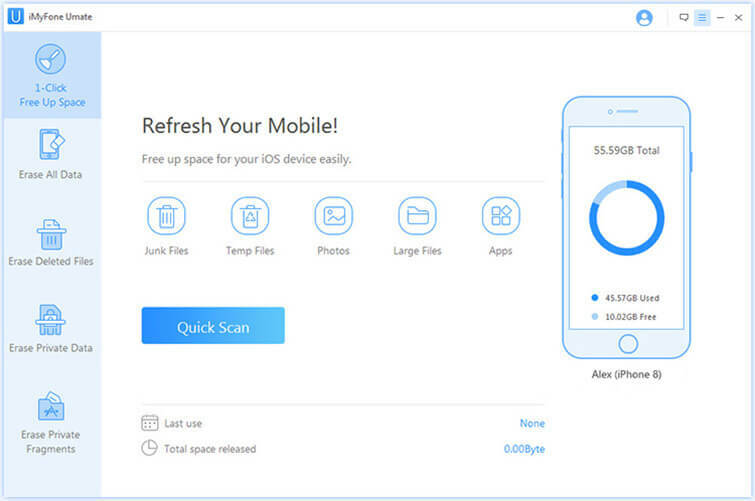 Free up space of iPhone 7/7 Plus by removing junk files, temporary files, large files, photos, etc. with a single click. Protect your privacy by permanently erasing data fragments left by third-party apps. All types of data can be permanently erased via Umate Pro. The data includes call history, contacts, messages, photos, notes, videos, etc. Umate Pro can also scan and erase deleted files permanently to ensure that they cannot be recovered by any data recovery software. You can also preview the files before deleting them via Umate Pro. Step 1. Connect your iPhone 7/7 Plus to your Mac or Windows PC and launch Umate Pro. Step 2. Once the software is launched, select the Apps under 1-Click Free Up Space mode. It will now start scanning. Step 3. Once the scan is finished, you will see all the apps on your iPhone 7/7Plus. 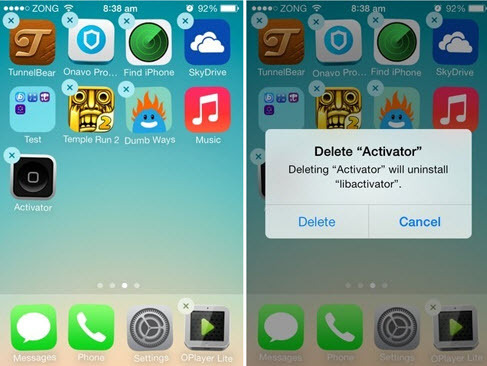 Check the apps you want to uninstall and click on Remove button, then the apps will be removed from your iPhone. 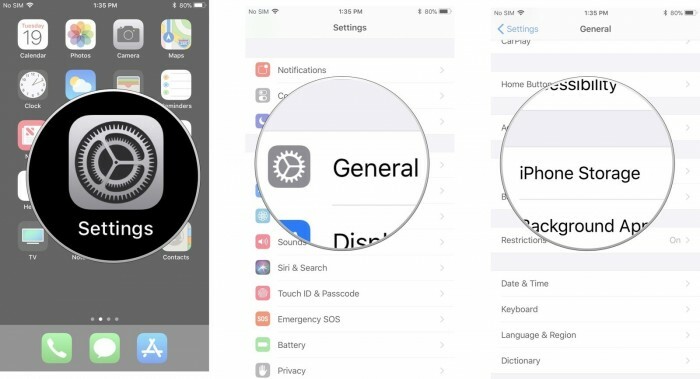 You can easily uninstall apps from your iPhone 7/7 Plus with this method. You will need to uninstall it from the Home Screen of your device. From the home screen of your iPhone 7/7 Plus, tap the icon of the app that you want to uninstall and hold it for a few seconds. You will see a small ‘X' at the top left corner of the app's icon. Press the ‘X' and then select Delete when prompted to uninstall the app. The main disadvantage of this method is that it cannot be used to uninstall apps in bulk. Uninstalling apps one by one will be time consuming. You can also uninstall apps from your iPhone 7/7 Plus via the Settings app. The process is quite straightforward. 1. Open Settings app on your iPhone 7/7 Plus. 2. Navigate to General > Storage & iCloud Settings > Manage Storage. 3. Now find the app that you wish to uninstall and tap the Delete App option under that app's icon. 4. Tap Delete App again to confirm your action. The app will be uninstalled from your iPhone 7. Similar to the first method, you cannot uninstall apps in bulk with this method. If you want to uninstall all the apps for a fresh start, then factory reset is the way to go. Keep in mind that this will erase everything from your device so backup your data before proceeding. Open Settings app on your iPhone 7/7 Plus. 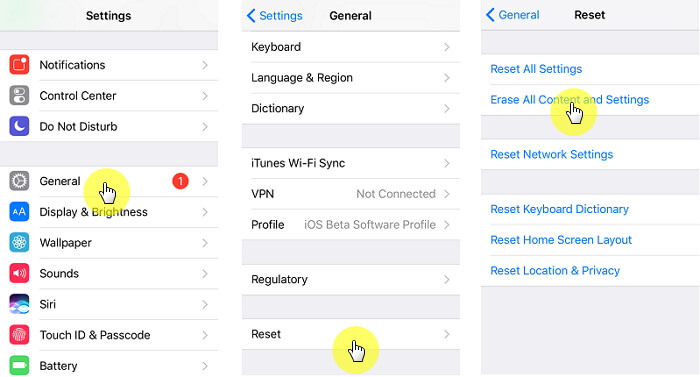 Navigate to General > Reset and select Erase all Content and Settings option. Input your passcode and confirm your action by selecting Erase iPhone option when prompted. The reset process will begin. This method is too complex as you will need to back up your data first which can be time consuming. There is also a risk of losing all the data if you did not back up. When you compare all the methods listed in this article, it becomes quite clear that iMyFone Umate Pro is the best way to uninstall apps from iPhone 7/7 Plus. There are a number of reasons for this. 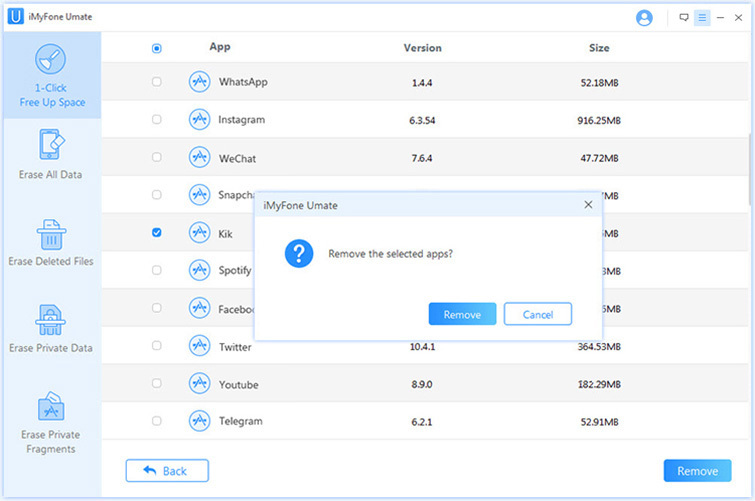 First, it allows you to uninstall apps in bulk which is very convenient and time saving. Secondly, the performance of your iPhone is also boosted, which is an added bonus. Last but not least, the method is fast, effective, and very easy to perform. That's why it is highly recommended that you use iMyFone Umate Pro when you need to uninstall apps from your iPhone 7/7 Plus.